Two minute cookies are simple cookies to make and taste great. 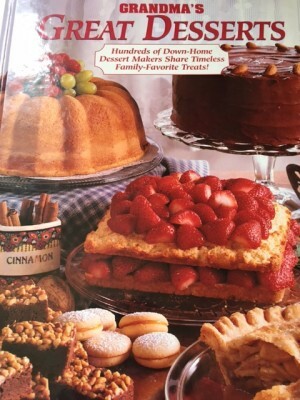 This recipe for my Cooking Through My Collection series comes from the cookbook Grandma’s Great Desserts. I have had this cookbook for close to 20 years. It is one of those cookbooks that helped me learn to bake after I got married. There are many recipes in this book that my sisters and I have made for years. I love this cookbook because the recipes are old fashioned basic recipes. They really are the recipes that many of our mothers, grandmothers, and great grandmothers made. The recipe I am sharing today from the book is for Two Minute Cookies. The recipe is basically a version of a no bake cookie. The title caught my attention because it said two minute. 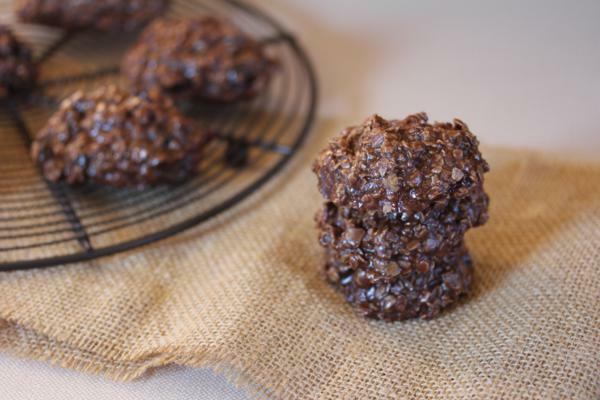 Any recipe that goes together in two minute and tastes great is a winner in my opinion, but once I read through the recipe I realized it was basically a no bake cookie. 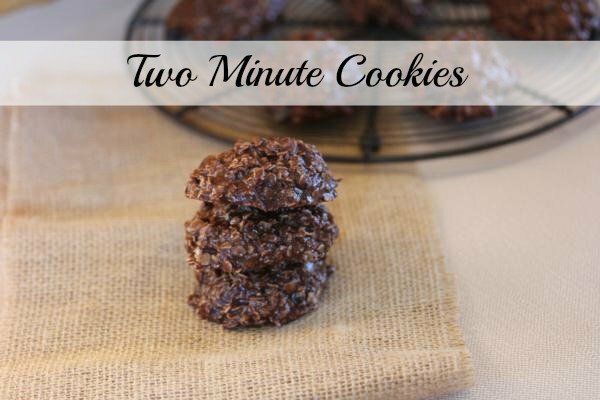 I have actually never heard no bake cookies called two minute cookies. I am wondering if it is a regional name, or if it is more of an old fashioned name and the updated name is just no bake cookies since you don’t bake them. Either way these cookies are great. This recipe was a little different in that it had raisins in it. I have put coconut in both no bake cookies and no bake cookie bars and I have even put dried cherries in no bake cookies and cookie bars, but I am not sure I have ever put raisins in them. There were great with raisins in them and I will definitely make them that way again. These also could be made into bars like I do my other no bake cookies. Have any of you ever heard no baked cookies called Two Minute Cookies? In a large pan combine butter, milk, and sugar. Bring to a boil, stirring occasionally. Remove from the heat and stir in oats, cocoa, and raisins. Drop by the spoonful onto a cookie sheet that has been lined with waxed paper or a silicone mat. My recipe for no bake cookies is very similar. The only exception is that my recipe calls for a 1/2 cup of peanut butter and no raisins. I first found the recipe in a 1970s church fundraising cookbook listed simply as no bake cookies. I have other cookbooks containing an identical recipe with various titles. Everything from 5 Minute No Bake Cookies to Skillet Cookies and even one titled Cow Pies. None call for raisins, but I think that would be a good addition. I think these were a staple for many in the 70’s and 80’s. I have heard them called no bake and cow pies, but never skillet cookies. It is so interesting to see the various names a recipe can have. And the peanut butter version is the version I grew up eating and I think it is still my favorite, but I love doing the different versions for a change too. It looks like you don’t cook the oats at all. Am I reading that correctly? Yes, you don’t cook the oats for these types of cookies. You just stir them into the hot mixture.